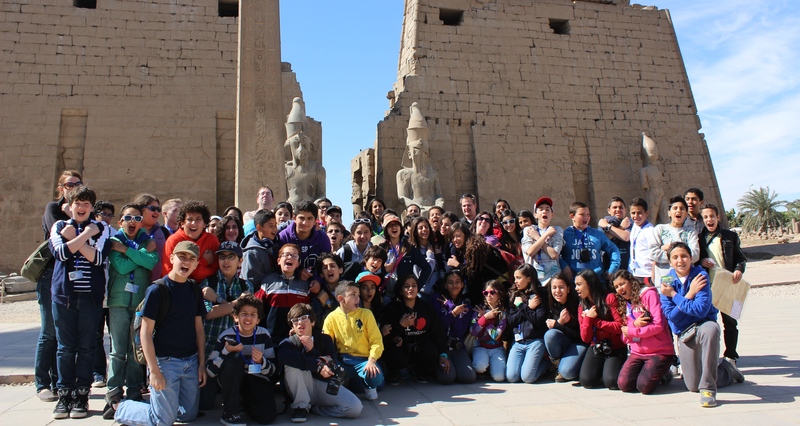 AIS4Egypt is a student-based club that was founded by the class of 2011. Its purpose is to help students "see the Egypt beyond their windows" through engaging in different types of community service work like health, education, animal welfare and much more. Each year, AIS4Egypt has a different leadership team that plans a schedule filled with events and activities, some which are one-time events, and others which are annual events. The annual events include a Christmas Bazaar, where non-profit vendors are invited to AIS to sell their goods during the Christmas concerts in order to raise funds for their organizations. Another annual event is the "One Family Orphans' Fun Day", where AIS4Egypt invites orphanages from around Cairo to come and attend a day full of different educational activities and entertainment. The third annual event is the Workers Appreciation Day, which is a day where all of the on-campus maintenance staff are welcome to bring their families and enjoy a full day at the AIS campus filled with activities for both children and adults. The “Active Citizen” class exposes students to global issues that face Egypt today and how they can be part of the solution, as a member of their community. . Students volunteer on a regular basis in an area in which they have a special interest, and apply what they have learned in the classroom to the real world. Developing an education fund for refugees which has raised approximately 20,000 LE to date.